Chinook's award winning RODECS® technology is the worlds only universal thermal treatment system, and uses our multi-patented Active Pyrolysis® process. The very first RODECS® system was commissioned in the year 2000, had a batch capacity of only 2 cubic meters and is still in full operational today. The 9th generation RODECS® system now has a batch capacity of over 100 cubic meters. 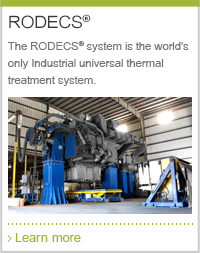 Combining both pyrolysis and gasification the RODECS® system is able to process a very wide range of organic feedstock. 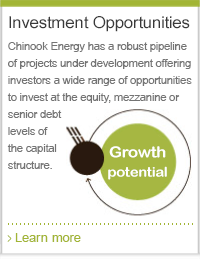 The cutting edge proprietary process does not require any form of pre-sorting or pre-processing which adds considerably to the economic strengths of the system. The RODECS® system is able to achieve unsurpassed carbon conversion efficiency with its patented Active Pyrolysis process which actively monitors and conditions the syngas during the processing cycle, altering the gaseous composition and the atmospheric conditions according to the target requirements. The process is achieved by synchronising the operation of the various systems while maintaining close control over the operation at all times. Another strength of the RODECS® system is that it is modular and salable and can be implemented with multiple RODECS® lines per plant. This allows it to be used to fit various project sizes.